Way, way, way back in elementary school I was in the school choir. Which looking back is pretty funny because I’m not really a singer. Or even vocally inclined. But one thing I will never forget about that experience is our crazy music teacher. She had big hair, a southern drawl and was rail skinny. And she had this stick that she would tap…on the board, on a chair, on the back of the piano. She meant business! So anytime I hear or see a reference to my favorite things, I start singing that song. In it’s modified format. Because we practiced it so much it’s still engrained in my brain! I’ve teamed up with Elaine, from The Miss Elaine-ous Life, to share a few of our favorite things for this month’s Old School Blogging! Sit down restaurant- That’s a tough one. I like a variety of foods. I’d have to go with either Chuy’s (which started in Austin and I worked at during college) a delicious Tex-Mex restaurant that finally came to Atlanta or Siam Square, semi-local amazing hole-in-the wall Thai restaurant with the best basil rolls ever! Cookie- Oh cookies. How I dream of thee. I’ve been gluten and dairy-free for about 7 months. Which excludes a lot of cookies. The only ones I’ve found that are tasty are made by Enjoy Life. But, honestly, I’d rather just eat a bag of their chocolate chips! Tv shows- We don’t have cable. So we’ve missed a lot of trendy shows. Now, we binge watch shows on Netflix. We are caught up on Downton Abbey, Mad Men, Orange is the New Black and almost finished with Breaking Bad. I’ll be asking for suggestions shortly. Flower/ Plant- This so depends on my mood. I really love our hydrangeas when they bloom all nice and bold. That didn’t happen this year. Of course, roses are always amazing, too. Bad-for-me snack- Chips. Always chips. Favorite would be salt and vinegar, but I really haven’t met many I don’t like. Also Cheetos, but that whole dairy-free thing has me off them. The best ones? The hot Cheetos. No judging, okay? Magazine- Besides the random Seventeen magazine that I’m sure somebody sent me as a joke, I only get one other magazine. iBlog. Yes, it’s crazy, but with articles like 30 Minutes a Day to a Successful Blog when I have like 20 minutes a day sometimes? Totally rock my world! I wish I could say something tabloid-y like People, but I just can’t do it. I will indulge while waiting at the dentist’s office, but that’s about it. Hobby (besides blogging)– What is this hobby thing you speak of? I have four kids. They count as a hobby, right? I also design blogs over at Krizzy Designs, but, well that hobby turned into a paying gig. Basically, I stink at this question! Holiday- Christmas. Has to be Christmas. It’s so special and magical and the reason for the season truly is the best! Favorite thing to do for Girls Night Out– Oh, I haven’t had one of these in a while, either. Heading to see a show or a musical, followed by a gluttony filled dessert or wine trip is pretty good. Or going for tapas and wine. Okay, or just wine! Favorite thing to do on a Date Night Out (yes, out because some people call it date night at home, and that’s not what I mean! )– Sushi. And maybe a movie. Or a bar. Or a show. Really, any night out with just the hubby is a date, right? Don’t forget to tweet with me (@SeriousKrystyn) and Elaine (@elainea) using the hashtag #OSBlog! We are excited to hear all about your favorite things! And please try to visit some other linkers too and keep Old School Blogging fun for everyone! 🙂 Linky is open for 10 days! I’ve never heard of iBlog! I’m sure I would love it. Oh, you must check it out! I think they are offering two free magazines with subscription, too! It’s full of great things! I am right with ya on date night and girls night. When I was pregnant with my youngest I craved Salt and Vinegar chips *they had to be Pringles* and ham and pineapple pizza.. together.. I know I am a weirdo. All about the Kettle cooked ones here! Yum! I love your list of favorite things and also had similar imprinting of songs from chorus (I am also not musically gifted). 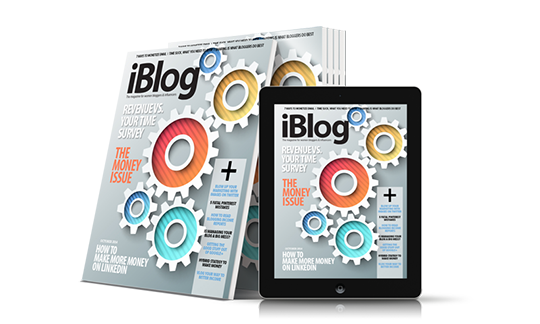 iBlog is a magazine I have been interested in checking out for a while – I first learned about them at Blogger Bash this year and it’s been on my list of things to do! Thanks for the reminder and good words. I like all the things you do. Why do I always want bad for me snacks when the kids go to bed. Because you don’t have to share! This a great list! Loved looking through your favorite things! Bath scent – Me too!! Sweet Pea. Bad for me snack – Cookies! Girls NIght – (yeah right) Drink! Date night – Dinner and a movie! Wait..all of those shows are on basic local networks, aren’t they? Loved reading about your favourite things. I am Downton Abbey obsessed these days. Have you been watching Season 5? It’s out now in the UK, but you can watch it online if you don’t want to wait till January. I don’t think I’ve started watching Season 5. I felt like 4 just sort of ended. I also need to catch up on Call the Midwife. For some reason PBS pulled it and I wasn’t able to get it back! What pretty pictures! Looks like a fun time. I used to have a really sweet tooth, but now I have a really bad SALT tooth! I LOVE chips so much. I gave movie theater popcorn as my answer just because, well, I do love it, but also, it’s probably the worst for me thing around! Oh, I have both. I have a terrible sweet tooth, too! I have a love affair with chips too! You can have all the hot cheetos you want though as i am not a fan.